Doctors Desktop is an Interactive Web Application Software which helps doctors from different departments in a hospital to store, manage and retrieve patient information with ease and simplicity. The software is integrated with the existing Solver Hospital & Clinic Management System to access related patient data from any department. The software manages patient data for both In Patient and Out Patient departments. Display IP & OP patients of each doctor. Patient diagnosis entry pages are department specific. Doctors can view & edit all the previous visits of their patients from a single page. Investigations & Medicines prescribed by the doctor can be accessed from Billing and Laboratory departments. Doctors can view all files of a patient from Patient History section. Cross-referral of patients can be done easily. Images can be annotated using SVG. 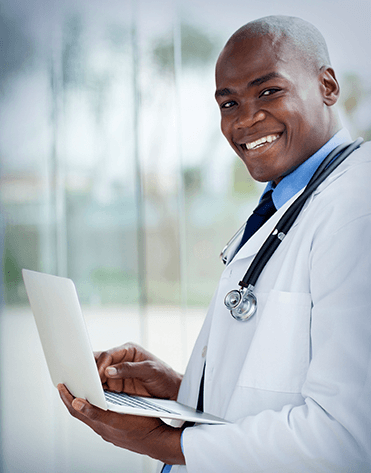 Doctors can view Test Results of a patient and incorporate test results in the summary reports. Prepare Medical Visit Summary & Discharge Summary in a single click. Surgeons can keep track of Operation dates and prepare monthly reports on Operation details. Doctors can prepare monthly patient list reports to be submitted to the Ministry of Health. Doctors can track list of appointments and access patient information prior to patients visit. Gradually convert all patient paper files to electronic files. Avoid searching of manual patient files. Avoid unnecessary calls to the doctor from pharmacy & lab. The doctor can provide total charges incurred for the tests and medicines to the patient prior to billing. Minimize data entry using popup lists and automatic loading of previous visit data to new visits. Doctor can monitor latest readings & measurements of IP patients and suggest appropriate tests and medicines.